J2 Innovations' award-winning FIN Technology is global! 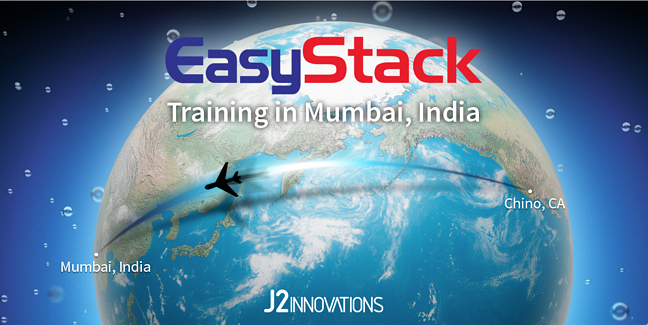 This week our new partner EasyIO is launching EasyStack with their first training in Mumbai, India. Students in the training class experienced three days of hands on EasyStack training highlighting features, architectures, and tagging and data modeling. EasyStack is a global brand of FIN Technology that combines the core functionality of a Building Automation System (BAS) for connecting and controlling devices, with the added benefits of a Building Operating System (BOS) to manage and leverage data. The technology uses tagging and data modeling to provide unprecedented capabilities and functionality. The Haystack open standard also provides options and choices for the best combination of solutions from the wider collaborative Haystack community.